If you think it’s as simple as wiping stuff off a chalk board, you are in for a huge surprise! When you delete a file, the operating system simply removes the reference to the file on the hard drive from a special table (Master File Table or Inode Table depending on the OS and file structure in use). Once this reference is removed, your computer can no longer ‘see’ the file and the operating system (OS) now has the permission to overwrite that portion of the drive with a new file if the need arises. This effectively means the file can always be retrieved provided it has not been overwritten and distorted by another file. And because the file is technically there, you can recover it with data recovery software designed to rebuild the file in order for the OS to see the file again. So, these kinds of software only work if the previous file hasn’t been overwritten to the extent of making them inaccessible. 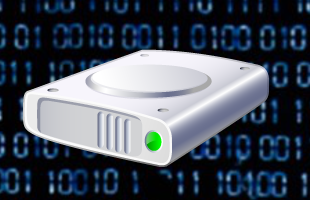 You can recover your files with several data recovery software such as DiskGigger, MiniTool Power Data Recovery, etc. I recommend PhotoRec, free software that comes with TestDisk. Don’t let the name deceive you, it can help you recover many other file formats and not only photos! You can thank me later if it helps you to recover your recently lost file on your pen drive, external drive, etc.